In the previous chapters, the different scientific hypotheses regarding the first Ishango rod were discussed with their pros and cons. 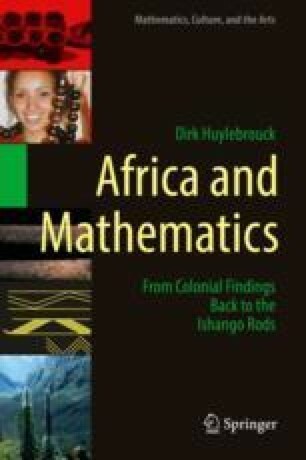 To some, they turned the history of mathematics upside down, but the rod remained an isolated and singular artefact, found in the heart of Africa. However, it turned out there was a second rod, revealed by the discoverer of the first Ishango rod, Jean de Heinzelin, on his death bed. It has never been the subject of any publication and thus the reader will discover here which of the given hypotheses still stand – or perhaps he will even formulate his own theory, in the footsteps of Slavik Jablan, a foremost mathematician who was asked for a second opinion.